Concrete gutters and installed the plastic guttering all round the property and also installed two sky windows in the attic . Is it normal for those windows to have condensation ? I haven’t converted the attic yet to a proper loft . We started to see mould in the bath as well . We only done the roof like 2 months ago . He put the same tiles and new breathable membrane and installed a airbrick as we removed vent chimney . So I don’t understand why there so much water on those windows or is it normal ? We didn’t need to involve building control as everything was like to like . Same tiles weight and size etc which I believe it comes under permitted development. What did building control say, they must have looked at it to sign it of.no if you remove more than 25% of your roof you have to get it signed of by building control as of 1st of October 2010, updated in 2016 to check not only insulation but timbers ventilation plus make sure its put together again properly, when you sell the house without the proper paper work you new roof will not be recognised.it may also invalidate your house insurance. Permitted development is the lack of need for planning but most things do still need to be signed of by building control. if your roofer has used the cheapest breathable felt you will experience condensation.Your alternatives are to fit soffit or tile vents. 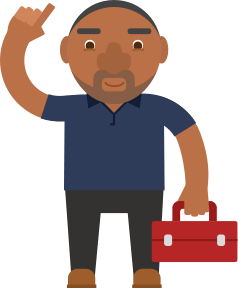 Post a job on MyBuilder to find quality, local Roofers who can help you with your project. Repair leaking flat roof? builders put a new flat roof on the extension to my property in Glossop. New roof but internal boards still wet.